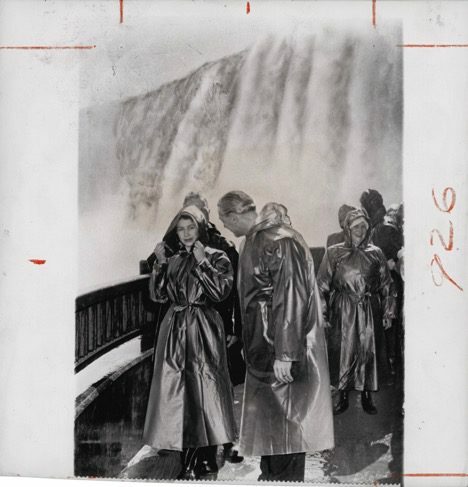 Currently viewing the tag: "Faraway Nearby exhibition"
The 25,000 New York Times news photographs of Canada now archived in the Ryerson Image Centre represent a “treasure trove” for journalism historians and researchers, says the head of the Ryerson Journalism Research Centre. 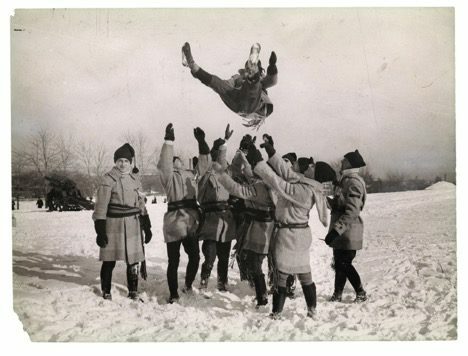 The collection of photos dating from about 1910 until 1990 includes images of major Canadian political events and conflicts, landscapes, sports heroes, candid reportage on the lives of diverse communities and portraits of notable Canadians. “I can imagine researchers using the archive for projects on everything from who and what was considered newsworthy in Canada during those years to how outsiders – in this case the New York Times – viewed Canada,” said April Lindgren, the research centre’s academic director. Denise Birkhofer, the RIC’s collections curator and research centre manager, said the archive is a valuable resource for the university as it increases the representation of Canadian photojournalism within the RIC’s holding. “We [now] have a vast resource for students, scholars and researchers to look into various issues related to the 20th century in Canada,” Birkhofer said. She said the photographs themselves reveal information about how they were used by the New York Times. 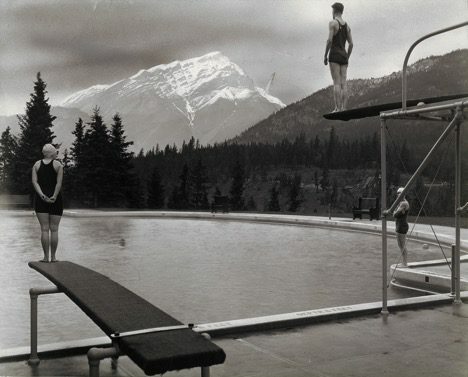 The Faraway Nearby exhibition now on at the RIC features a selection photos from the collection, which was donated to Ryerson earlier this year by GTA real estate executive Chris Bratty. Birkhofer said the images are particularly valuable for what they reveal about how technology has revolutionized photojournalism: “When you are looking at almost a century of photojournalism, you can see the developments and the techniques that were used by photographers over time,” she said. Peter Bregg, who worked as a wire service photographer and is now an instructor at Ryerson’s School of Journalism, has four photographs featured as part of the current exhibition. 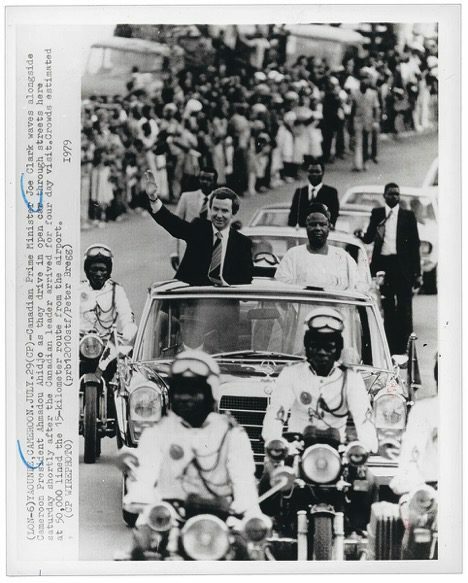 One of his photographs pulled from the archive and now on display shows then-Canadian Prime Minister Joe Clark waving to crowds alongside Cameroon President Ahmadou Ahidjo as they are driven in an open car through the streets in Yaoundé on July 29, 1979. 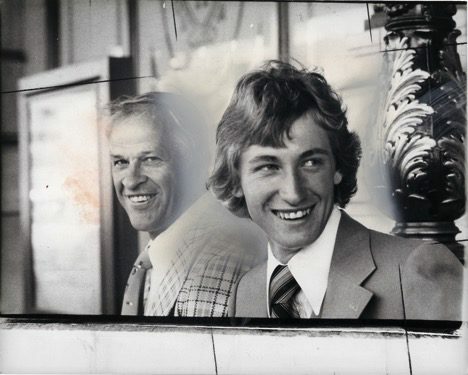 Bregg, who was working for Canadian Press at the time, said an estimated 50,000 people lined the 15-kilometre route from the airport. 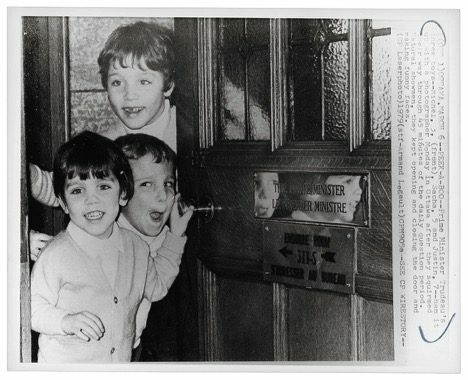 Three more of Bregg’s Canadian Press photographs are featured in the book that accompanies the exhibit, including a 1978 image of youngsters Justin, Sasha and Michel Trudeau peeking from then-Prime Minister Trudeau’s office on Parliament Hill. Bregg said technological advancements have improved the quality of photography over time. Bregg, the recipient of the 2014 Lifetime Achievement Award from the Canadian Journalism Foundation, said a comparison of the archived images with more contemporary news photos illustrates how how photojournalists today can now be more creative than their predecessors. The collection is accessible to the public, researchers, scholars and journalists who make an appointment through the Peter Higdon Research Centre. The Faraway Nearby exhibition runs until Dec. 10. CORRECTION: An earlier version of this story quoted Denise Birkhofer saying, “In the first half of the 20th century, you see the typical black and white solar prints.” In fact Birkhofer said, “In the first half of the 20th century, you see the typical black and white gelatin silver prints.” The RJRC apologizes for the error.